If you find yourself using artificial tears often, like when you’re checking e-mail or going outdoors for a run, it may mean you have a disease called Chronic Dry Eye. Chronic Dry Eye is sometimes called dry eye disease or dry eye syndrome. It is also known by the medical name keratoconjunctivitis sicca (pronounced “carrot-oh-con-junk-tiv-it-is seek-a”). But the important thing to remember is that Chronic Dry Eye is a disease and that there is medical treatment available. Chronic Dry Eye is a chronic disease that can be caused by advanced age, contact lens wear, certain medications, eye diseases, other medical conditions, or environmental factors. LEARN MORE. 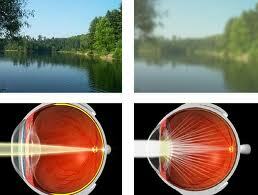 A cataract is a clouding of the lens inside the eye which leads to a decrease in vision. It interferes with light passing through the eye to the retina. Aging and other factors cause proteins in the eye’s lens to clump together forming these cloudy areas. Those with cataract commonly experience difficulty appreciating colors and changes in contrast, driving, reading, recognizing faces, and experience problems coping with glare from bright lights. 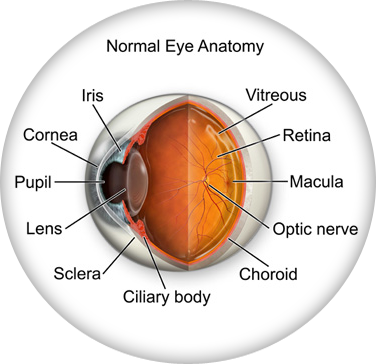 Macular degeneration, or age-related macular degeneration (AMD), is a disease that destroys your sharp, central vision, and causes trouble discerning colors. You need central vision to see objects clearly and to do tasks such as reading and driving. 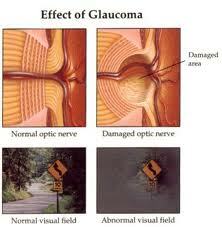 Regular comprehensive eye exams can detect macular degeneration before the disease causes vision loss. Treatment can slow vision loss. It does not restore vision. Conjunctivitis (also called pink eye) is inflammation of the conjunctiva (the outermost layer of the eye and the inner surface of the eyelids). It is most commonly due to an infection (usually viral, but sometimes bacterial) or an allergic reaction. Red eye, swelling of conjunctiva and watering of the eye are symptoms common to all forms of conjunctivitis.